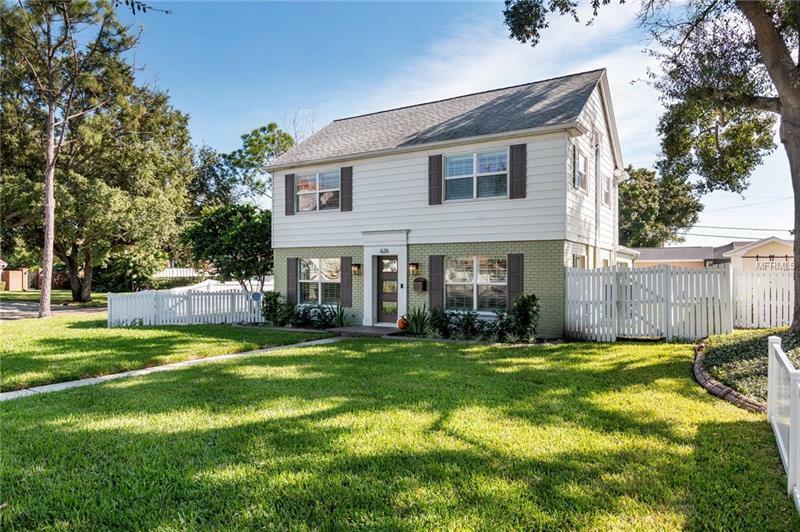 626 Marmora Avenue, Tampa, FL.| MLS# T3151613 | Westchase Real Estate - Westchase FL Homes For Sale - Westchase Local Experts. An absolutely stunning, luxuriously renovated colonial home on highly desirable Davis Islands awaits you on a corner lot. It is captivating, from the moment you walk into the front door. No expense was spared in the renovations and upgrades in this home. Complete with impeccable design details this home offers a sleek, modern feel without feeling too formal. Its high-end finishes throughout include Bosch stainless steel gas appliances, lighted solid wood cabinetry and quartz countertops in the kitchen, sure to impress. Plantation shutters throughout lend a warm, welcoming feel. This home features 3 bedrooms, 2.5 baths, two fireplaces, brand new electrical, new roof, gas, plumbing, A/C systems, tank-less water heater, high-efficiency lighting and reclaimed water irrigation. Recently added a theatre room with a built-in bar, seating, and amazing surround sound. Outside, you are greeted by a cozy screened in porch with views of the outdoor patio area equipped with a professional grade outdoor kitchen, gas fire pit, and beautiful seating area; makings of a great entertainment area for family and friends! You will relish in the quiet golf cart neighborhood while enjoying your privacy in the fenced in yard. You could call this beauty your home!